I'm always on the hunt for period-appropriate fabric--especially affordable fabric. 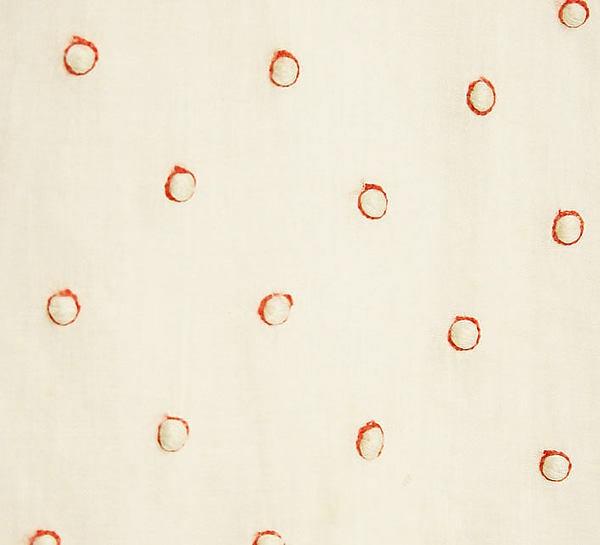 I recently ordered these India cottons on Etsy that have a period look. Blue floral hand block printed fabric from Block Print Fabric. 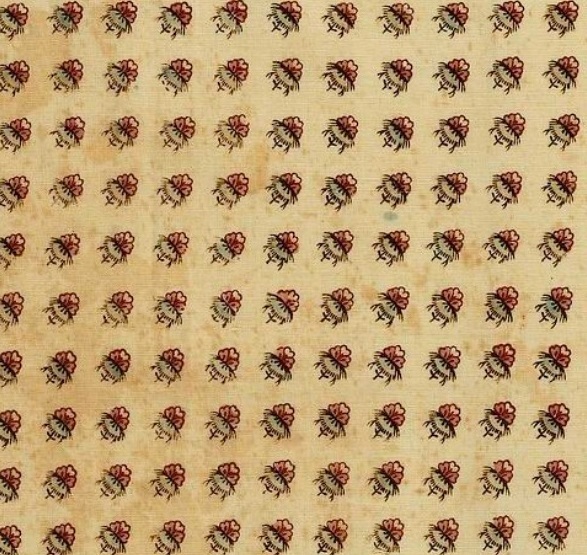 Red floral hand block printed fabric from the same shop. 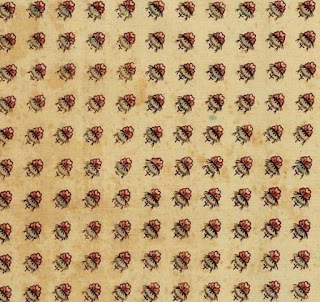 The handmade irregularities remind me of details I've seen on extant fabrics in museums. 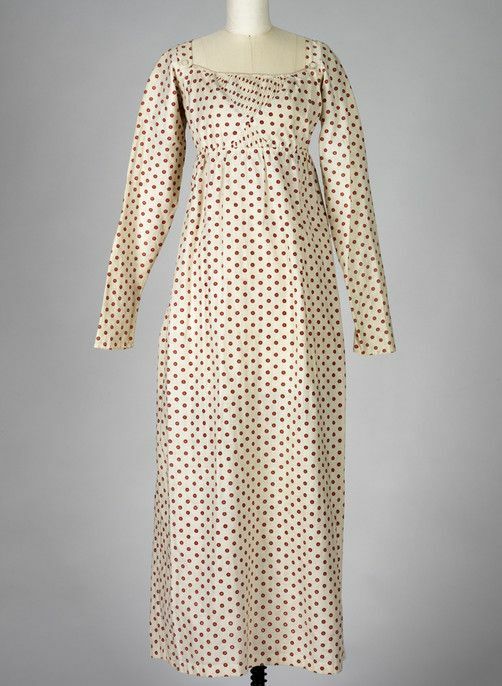 I think of the print's scale as the "Goldilocks"...it's not too big (like prints for upholstery fabric) and not too small (like quilting fabrics can be). It's just right. I also acquired an ikat cotton from Vedah Designs. 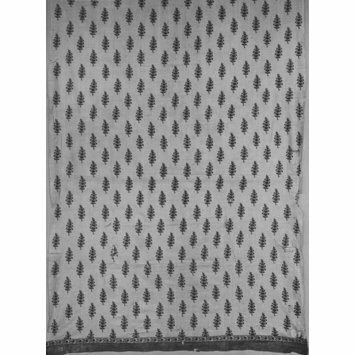 This woven cotton, which reports to be handloomed, has a heavier weight when compared to the fine muslin feeling of the block printed fabric. The pictures don't give justice to how nice this fabric is! 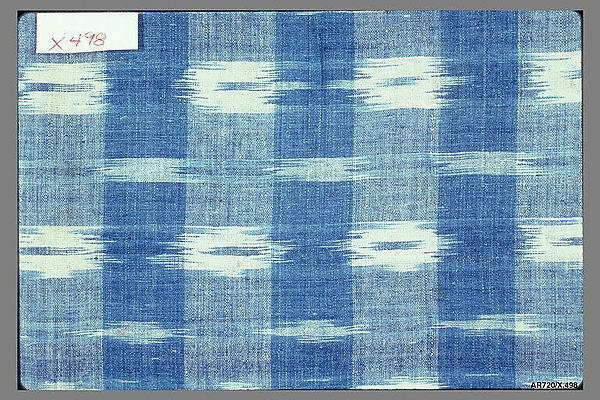 Compared to extant fabrics, there are some good similarities in the design and color scheme. 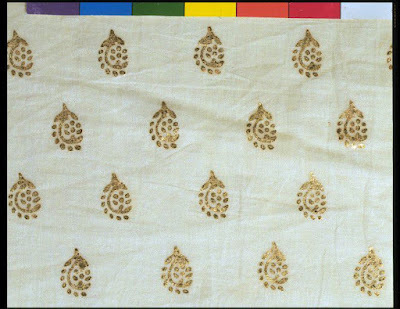 Detail of a 1790-1810 Southern Indian muslin neck handkerchief. 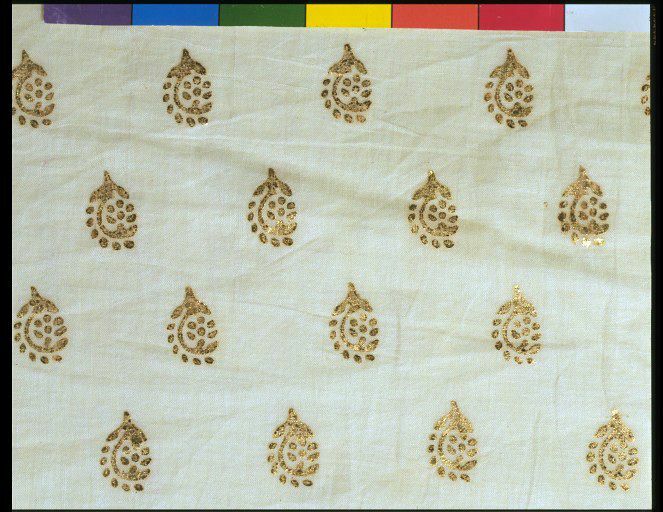 19th century block printed cotton with gold flower motifs. 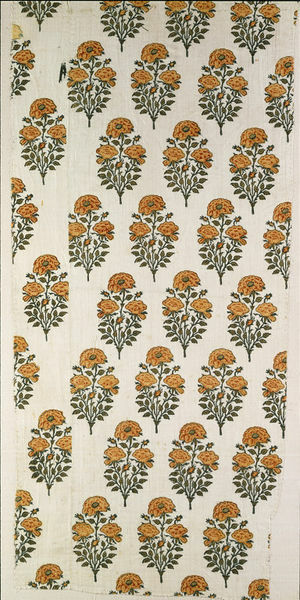 18th century printed and dyed cotton featuring yellow roses. 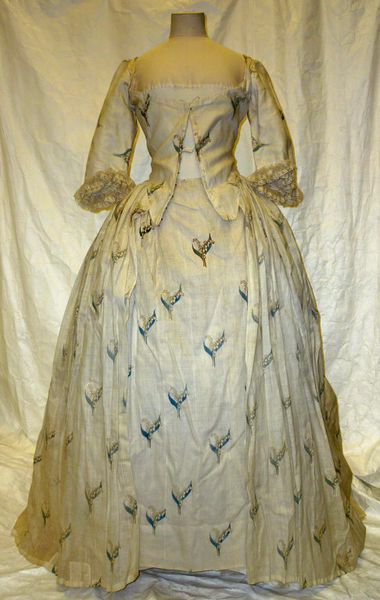 Early 18th century floral cotton featuring diapered springs in green and yellow. 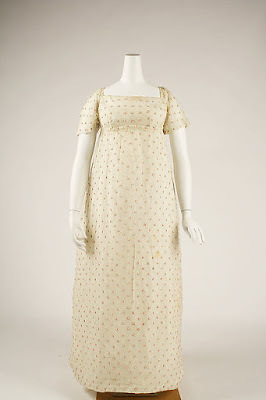 1770-1790 block printed cotton from a woman's gown (below). For the fabric purist, the cottons I have purchased aren't 100% period appropriate. 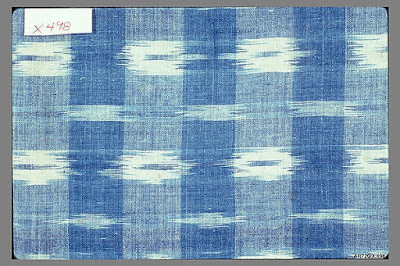 The 18th and early 19th century Indian cottons have more details (stripes, multiple colors, more elaborate designs, etc.) than the modern Indian cottons offer, which is revealed through a quick Pinterest search. 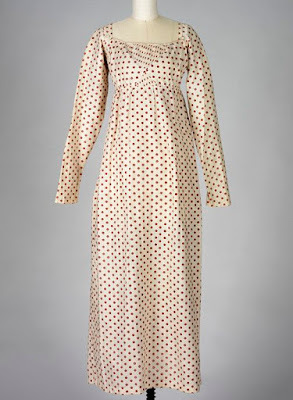 But when compared to modern fabric, when using the "Good", "Better", "Best" model, I'd classify these in the upper end of the "Better" category. They're a nice weight, the handmade nature is obvious when looking closely, and they're different from the floral cottons we typically see at events. Plus, if you can wait a few weeks for shipping, they're *really* affordable. 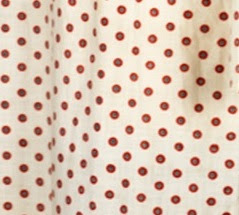 I couldn't buy all the fabric I loved, like this spotted cotton. Block Print Fabric is currently offering five yards for $25, which could translate well into an 19th century gown much like the two examples below. 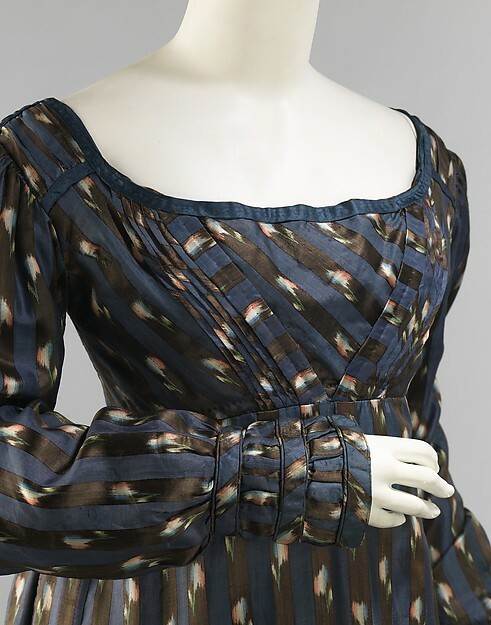 A detail of fabric from The Met's gown. Detail of fabric from the RISD Museum's gown. 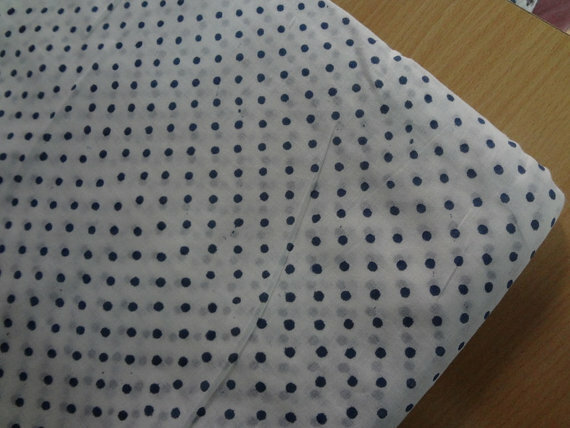 The fabrics that I've ordered have washed pretty well. While I normally wash my fabric in hot water, I opted for cold water to minimize fading from the natural dyes. I'll admit the muslin weight fabrics smelled a bit factory-like, but this was eliminated after putting them in the dryer. Go search for "Block Print Fabric" on Etsy and check out the India fabric fabulousness!